Well, it had to happen, I suppose. After thirteen years, she's back. No, not Donna Tartt. Although she is too, with a new novel, The Goldfinch, also out in October. I'm talking about the altogether less literary but, arguably, more fun, Helen Fielding, who yesterday announced the title and publication date of her third Bridget Jones novel: Mad About The Boy, to be published on October 10th. Whatever you think of Bridget Jones - and If you are one of those unfun people ("smug married", probably) who thinks one Bridget novel is already more than the world needs you should refer back to last week's Bazaar on Books blog and buy yourself a weighty American tome - you can't deny the fact that Bridget Jones defined a generation. For the first time, there we were; grown up but not grown up, love lives a mess, careers all over the place, independent and loving it - but struggling with it all at the same time. Late twentieth century woman in all our messy, um, glory. So, I confess, I have a soft spot for Bridget. I loved the newspaper column and first book. I even don't hate the movie (although that turkey curry buffet scene...) I was even prepared to give the not-that-great-to-be-honest Edge of Reason the benefit of the doubt. But Bridget three? Bridget Jones in her early forties? Smug married herself, perhaps? The knackered mum trying to Lean In but really just wanting a lie down? Or worse: Bridget having IVF? Or Bridget having climbed TV's greasy pole, reaching the top and realising, well, the view's not all that from up here? I could almost cry. But this is real life. And that was one of Brigid's great USPs, she was real. But that isn't what I want for forty something Brigid. So this extract gives me hope. Just presse d SEND. Iss fineisn't it? You see, this is the trouble with the modern world. If it was the days of letter-writing,I would never even have started to find his address, a pen, a piece of paper, an envelope, a stamp, and gone outside at 11.30pm, to find a postbox. A text is gone at the brush of a fingertip, like a nuclear bomb or Exocet missile. 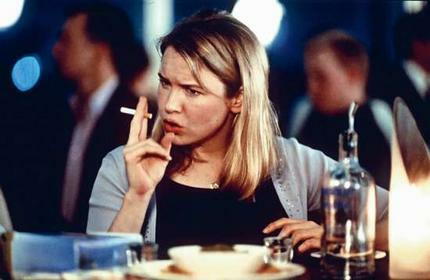 Bridget Jones, meet twitter. The mind boggles. Bridget Jones: Mad About The Boy will be published by Jonathan Cape on October 10th.